Original Russian Text © S.M. Bauer, S.V. Kashtanova, N.F. Morozov, B.N. 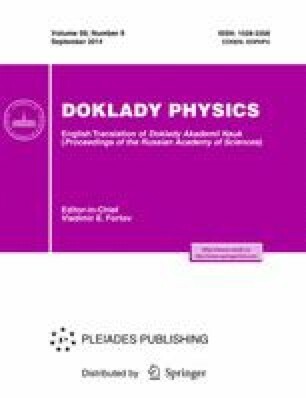 Semenov, 2014, published in Doklady Akademii Nauk, 2014, Vol. 458, No. 2, pp. 158–160. An erratum to this article can be found at http://dx.doi.org/10.1134/S102833581503012X.